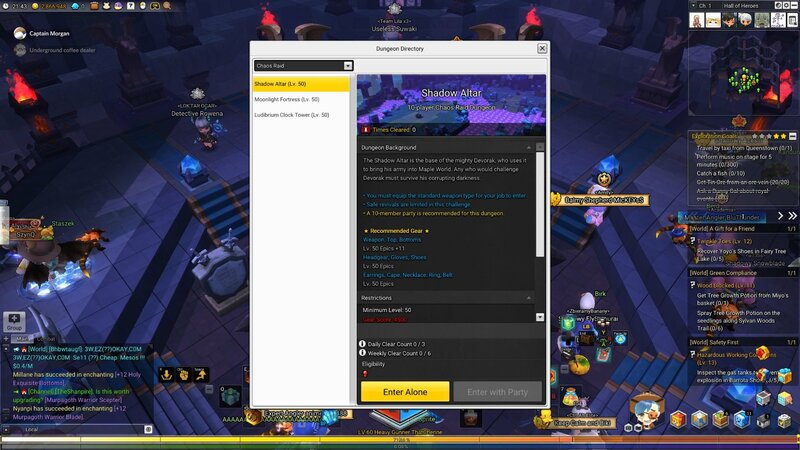 Maplestory 2 has a new exciting feature, chaos raids! If you’re looking for a new challenge and want to show off your sills, this is the way to do it. Chaos raids are incredibly difficult and require you to be constantly on point, but they offer big rewards. Making your way to the end gives you a chance to bag yourself a legendary. But what are raids and how do you get yourself into one? Follow this neat guide and we’ll talk you through everything you need to know. 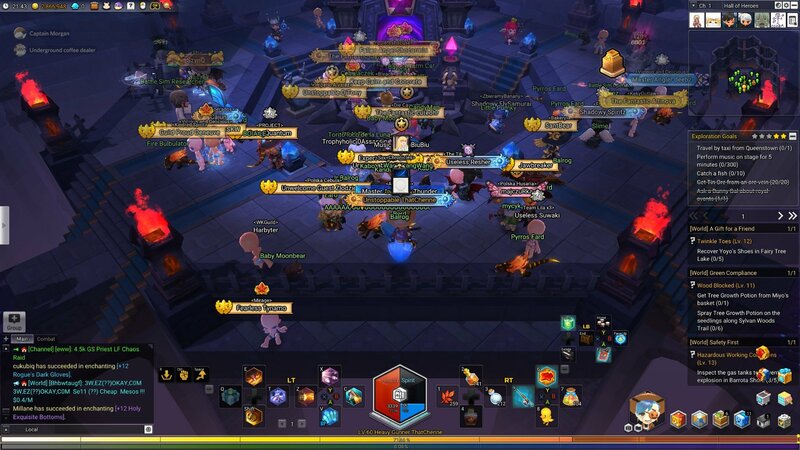 Plus, you can find a lot more guides for Maplestory 2 right here at Pwrdown! First, you’ll have to navigate your way to the Challenge map. You can do this by hovering over the globe, then click on ‘Challenge Map’. 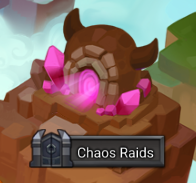 Once you’re on the challenge screen, you’ll want to click on ‘Chaos Raids’. This will take you to a new area of the game. Once you’ve arrived, you’ll find a lot of players to communicate with. Use this crowd to find a group or discuss tactics. When you’re ready, interact with the portal and you’ll be presented with a list of available dungeons. Click on the one you want to run and from there you can enter alone or with a 10 person group. There are a few extra things to remember with raiding. You are limited to three a day and six a week. Reset happens alongside dungeons. You’ll need a minimum gear score of 4500 to get into a raid. While you’re on the dungeon list screen, you can also see which gear drops from certain raids. It’s a great way to prioritise your playing time and get the most out of raiding. So what are you waiting for? Get a group together and get raiding! There are legendaries to be found! Followed the steps but I have spent ages looking for a group. No-one wants me. Unfortunately, your gear score might be too low. Run a few hard dungeons to get better gear and then try to join a raid group again.